Power Bank There are 17 products. These days there is nothing worse than a cell phone or tablet with a dead battery and no convenient place to charge it. But with custom-branded power banks from Sutter’s Mill Specialties, you can make such worries a thing of the past for your clients and employees. We carry a selection of high-tech charging stations and power bank accessories like two-in-one charging cables, power bank gift sets, and even an emergency roadside flashlight. 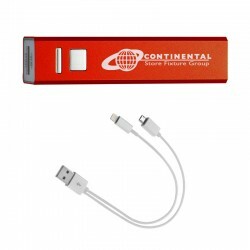 These engraved, portable power banks come in a variety of bright colors, and will really put a charge in your promotional campaign. 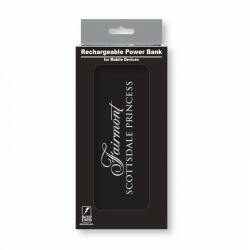 This personalized power bank can fully recharge any cell phone twice, or fully recharge larger electronic devices such as iPads and other tablets. 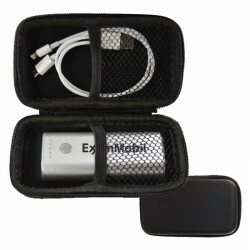 This model includes instructions and a 2-in-1 adapter cable, and comes in an engraved grey velour zippered travel case. This personalized power bank can fully recharge any cell phone, and partially recharge iPads, tablets, and other larger electronic devices. This gift set model features a wall outlet adapter and a car adapter, and comes in an engraved zipper travel case. 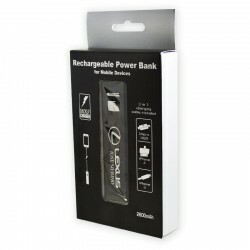 This customized power bank can fully recharge any cell phone twice, or fully recharge larger electronic devices such as iPads and other tablets. 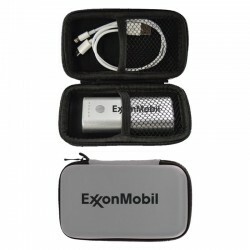 This model includes instructions and a 2-in-1 adapter cable, and comes in a hard-shell black zippered travel case. This personalized power bank can fully recharge any cell phone, and partially recharge iPads, tablets, and other larger electronic devices. 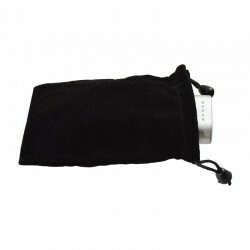 This model includes instructions and a 2-in-1 adapter cable, and comes in a black drawstring velvet pouch. This personalized power bank can fully recharge any cell phone, and partially recharge iPads, tablets, and other larger electronic devices. 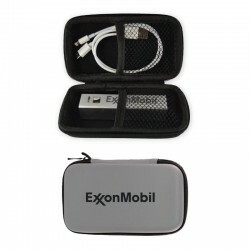 This model includes instructions and a 2-in-1 adapter cable, and comes in a hard-shell black zippered case. This personalized power bank can fully recharge any cell phone, and partially recharge iPads, tablets, and other larger electronic devices. This model includes instructions and a 3-in-1 adapter cable, and comes in its original retail box packaging – great for displays! This personalized power bank can fully recharge any cell phone, and partially recharge iPads, tablets, and other larger electronic devices. This model includes instructions and a 3-in-1 adapter cable, and comes in a hard plastic, clear top presentation case – great for displays! This personalized power bank can fully recharge any cell phone, and partially recharge iPads, tablets, and other larger electronic devices. This model includes instructions and a 2-in-1 adapter cable, and comes in a hard-shell grey velour case with custom engraving. This personalized power bank can fully recharge any cell phone, and partially recharge iPads, tablets, and other larger electronic devices. This model includes instructions and a 2-in-1 adapter cable, and comes in a white gift box. 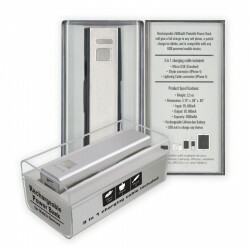 This customized power bank can fully recharge any cell phone twice, or fully recharge larger electronic devices such as iPads and other tablets. This model includes instructions and a 2-in-1 adapter cable, and comes in a white gift box. This personalized, large capacity power bank can quickly recharge two electronic devices, such as a tablet and a smartphone, at the same time! This model includes instructions and a 3-in-1 adapter cable, and comes in its original retail box packaging – great for displays! 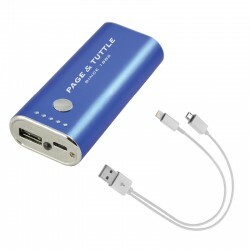 This customized power bank can fully recharge any cell phone twice, or fully recharge larger electronic devices such as iPads and other tablets. 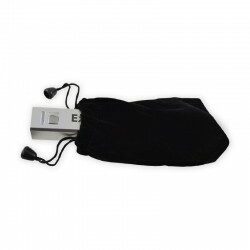 This model includes instructions and a 2-in-1 adapter cable, and comes in a black drawstring velvet pouch.